A new garage door can give your home in Loudon, TN, a much needed facelift, enhancing its curb appeal and offering numerous other benefits as well. For example, a new door can protect your family from intruders if it contains advanced security features. It can also help reduce the amount of energy needed to heat and cool your home if it contains eco-friendly features. All of these benefits are possible when you turn to the experts at 31-W Insulation. We can help you choose from one of the many top-of-the-line doors we offer from leading manufacturers including Amarr®, Wayne Dalton®, and Windsor Door. We’ll take into account your personal style and make sure that your new door in Loudon matches your home’s architecture, as well as complementing the architecture of other homes in the neighborhood. We will find a garage door that falls within your price range. We’ll show you doors that are available in not only a wide range of colors and materials, but also with different security and insulation options so you can find the exact door to meet your needs. 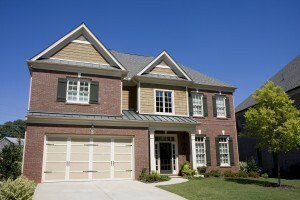 Don’t spend another moment looking at your old garage door that is unsafe, unsightly, or environmentally unfriendly. Contact 31-W Insulation and let us help you choose a new door that you can be proud of. We serve homeowners in Loudon, Tennessee, and surrounding areas.